With snow on the ground, too many hills, and below freezing temperatures, the NCAA Midwest Regional Championship brought everything it had like a triple threat. The race promised the Greenville women’s cross country team stiff competitors, as well as a unique experience. All good things must come to an end as this regional meet championship would be the conclusion of a competitive and impressive season for the panthers. 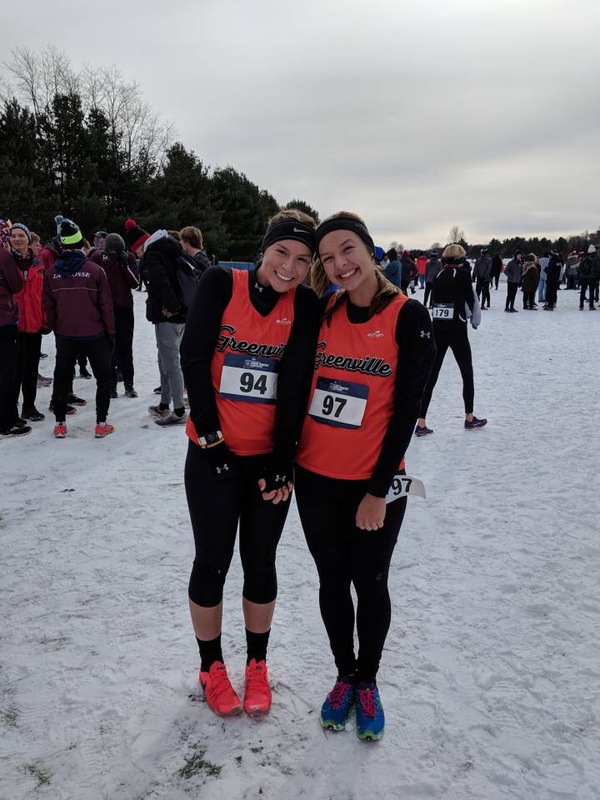 For two of the members it would be their final cross country race of their collegiate career. The nerves that came with that reality were answered with the team’s love of the sport. This team isn’t measured by success on the course according to Shirley Estes, senior, but by effort and character that is forged from a tight knit team. Regardless of the rough conditions, our ladies pushed forward with grit and ultimately had fun participating in a sport that they love. Sabrina Favela, freshmen, has endured ups and downs this season but brought her best to the line with a 26:58 finish. Right in front of Favela with a 26:52 was Sophia Allen, freshmen, who has also endured a rocky season but finished strong regardless of some pre-season setbacks. A leading junior on the team, Kori Nesbit, concluded the season with a 26:44 finish. Freshmen, Emma Leonhard has continued to build and repeat consistent races this season. She has served as a vital member of the team with her freshmen status and produced a tough 26:40. As a senior, this was Sheridan Noll’s last collegiate cross country race and this fueled an exceptional time of 26:21. The team will miss her athleticism as well as her positive presence next year. Hannah Williams has brought the heat this cross season as a fresh member of the team and ended her freshmen season with a 26:14. She shows tremendous potential heading into the track season. Leading the team as a senior and also scoring many valuable points this year is Shirley Estes who will also be missed next year for her drive and selfless attitude. She ended her season with an extraordinary 25:07 in the unfavorable conditions. Bundling up after the race. 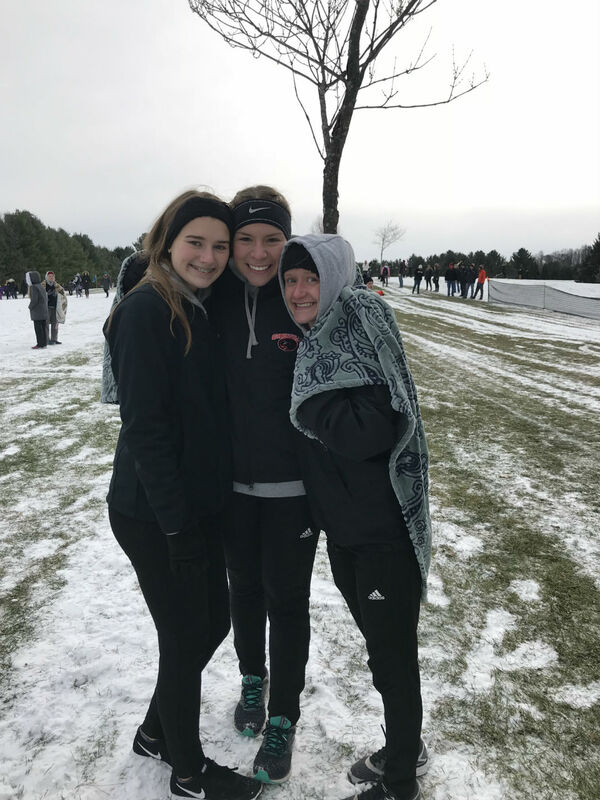 The hills wore out their legs, and the muddy turns wore out the mind, but even with the harsh conditions, our ladies saw it as an opportunity to grow as runners and have some fun. The team knew going into this race that it would hold some of the best competitors of division three cross country and ultimately, many of the top in the nation. 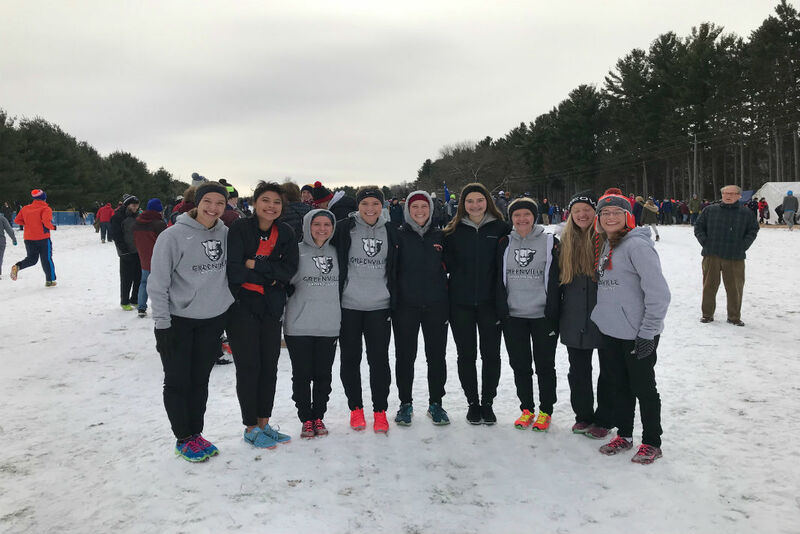 “We aimed to just have fun this weekend,” stated Nesbit, “and to use it as a way to reminisce over the awesome season we have had, and to celebrate with our seniors one last time.” Now, the team looks toward the indoor track season. The training changes and intensity shifts, so the cross country season may be over, but more opportunities lie ahead for these talented ladies as they anticipate the NCCAA indoor track meet. I encourage Panther fans to keep a close eye on these talented wome. I love reading these articles!!! Thanks for writing about us all season, Dylon! Great work!